We accept checks, cash, money orders, and are very helpful in getting what you need through your own bank. We also have financing available through INTERRA Credit Union and Lake City Bank, and Communitywide Credit Union which all offer competitive rates and terms. 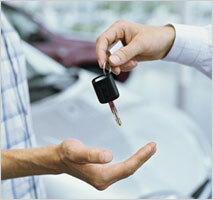 Dunlap Auto Deals strives to be number one in customer service for the area. If you are unsure about how to go about buying your first car and getting financed, then just stop in and ask one of us. We will not disappoint you.GREAT FIRST TIME BUYER PROGRAM.They like one year on job and 1250.00 income a month and a decent down payment.no credit needed.